To stage their home, many sellers start by decluttering the property and making repairs. Decluttering is the act of removing all excess items from the home. Excess items could include collectables, papers, stacks of magazines, old furniture and old clothing. Decluttering helps make the property look more spacious and well-organized. Decluttering can even make a space look clean, which also helps the property appeal to home buyers. When making repairs, many home sellers will focus on the small maintenance issues that can come up over time. Broken cabinet handles, cracked windows, peeling paint and stains on the carpet are all examples of problems that home sellers might address when trying to sell their property. These issues, if left not repaired, can make the home seem like it's not well maintained. Once repaired, the property will make a better impression upon buyers. After decluttering and making repairs, many home sellers will continue to stage by adding small decorating touches to each room. This might involve setting out flowers, a plant or potpourri, or throwing a warm blanket over the back of the couch. Adding touches that look cozy can help make the home look more appealing inside. Often, stagers will use the "rule of three" to decorate. The rule of three simply states that one should only have three items on a table of as decoration - each one of a different height. In rooms that need extra sprucing up, many home sellers will also paint the walls. Painting the walls helps cover up smudges and makes the inside of the house look extra clean. Painting with neutral colors is also recommended. Rooms that are painted bright colors will often take the attention of the buyer away from the home and place it on the color of the wall. If you're a home seller who wants to stage your home, work with a real estate professional. 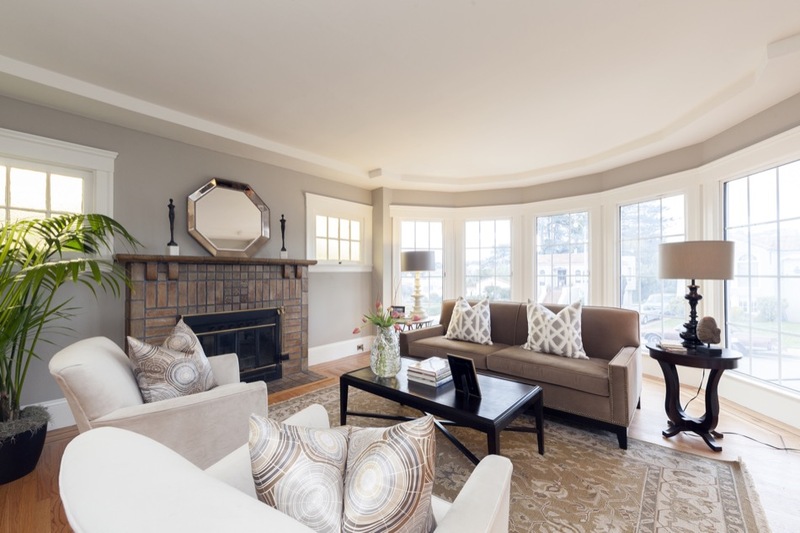 A reputable Market Common real estate agent can help you decide what needs to be done to make your home more appealing, so you can attract more buyers and hopefully sell your home more quickly.